We will try our best to make it as easy as possible. Use the tablet's built-in Bluetooth capability to connect and pair with compatible devices. Use it as a standalone tablet or compact laptop; your choice! The Voyager Pro is a great value with its included keyboard case. Available in Pink, Sky Blue, Purple or Charcoal for a stylish, personal 2-in-1 tablet experience. RCA Viking Pro 2-in-1 with WIFi 10.1" Touchscreen Tablet PC Contained Battery Type: Lithium Ion. Android 5.0 OS (Lollipop). Trending at $78.72eBay determines this price through a machine learned model of the product's sale prices within the last 90 days. You can expect a fully functional product. 100% Original. We Have Continually Grown By Providing Quality Deals At Low Prices. RCA, W101SA23T1. As an industry leader in product sourcing and reconditioning, we are expert in providing the best and finest quality products. 65 Point Inspection. We proudly stand behind the quality of our products. RCA 10 VIKING PRO. Bought the newer model. RCA, W101SA23T1K. 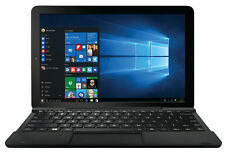 Introducing the RCA Cambio 10.1 high resolution Windows tablet with detachable keyboard. Preloaded with Windows 10, the RCA Cambio boasts a clean and easy to use user interface. Use the Cambios Bluetooth capability to connect and pair with nearby compatible devices. RCA Viking pro 10.1 2-in-1 tablet 32gb quad core. Introducing the RCA 10 Viking Pro 2-in-1 tablet with detachable keyboard. 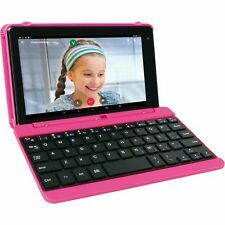 You may also dock the tablet to the keyboard in many positions to suit your liking or intended use. 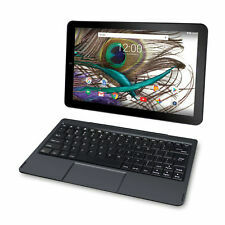 Use the tablet's built-in Bluetooth capability to connect and pair with compatible devices. 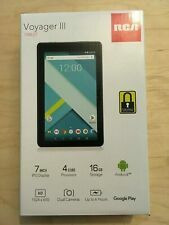 RCA Voyager 7" Tablet with Keyboard Case Android os. Android os. AC Adapter. RCT6873W42KC B. Manufacturer Part Number. This is LIKE NEW OPEN BOX. You can expect a fully functional product. Introducing the RCA 11 Galileo Pro 2-in-1 tablet with detachable keyboard. The impressive 1.3GHz quad-core processor is powerful enough to zoom through applications and tasks. 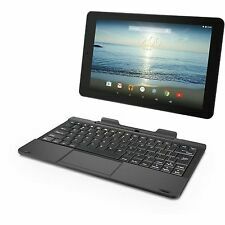 You may also dock the tablet to the keyboard in many positions to suit your liking or intended use. The included keyboard and KingSoft Office makes this the perfect tablet for work or play. Included with the tablet are a sharp, black folio case, making it easy to tote and protecting it from wear and tear. 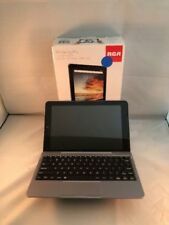 You are buying a RCA Voyager Pro Tablet with keyboard case. CONDITION: Great condition. 2 small scratches on screen. No AC Adapter included.uses Micro USB. 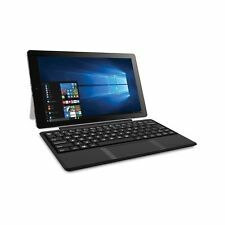 RCA Galileo Pro 2-in-1 11.5" Tablet 32GB Android 6. Shipped with USPS Priority Mail. RCA Viking Pro 10 32GB, Wi-Fi, 10.1 inch - Black. Condition is Used. Shipped with USPS Priority Mail. Used Tablet. (SEE PICS). Works great.